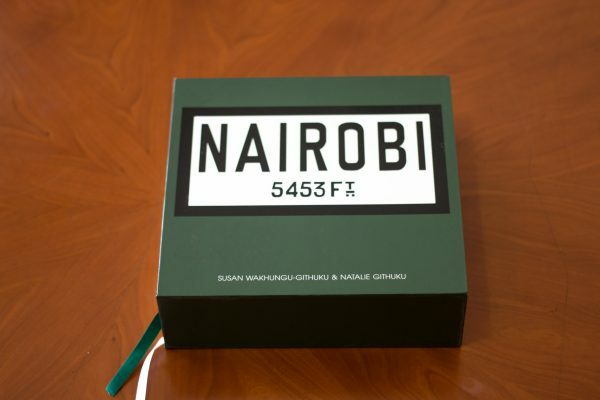 Every Nairobian has a part of the city instrumental in crafting their identity. A place where they truly came to appreciate the essence of Nairobi and found belonging. For most Nairobians, it is the neighbourhood they grew up in but I found my inspiration elsewhere. My favourite part of the city is ensconced in the area around the University of Nairobi’s Main campus. From Uhuru Highway onto the University Way, down Muindi Mbingu Street, connecting the grid to Kenyatta Avenue and all the way around to the Arboretum Forest and back. It is packed with endless memories and makes a fascinating treasure trove for history lovers. I was in the University for a four year pursuing a Bachelor degree in Anthropology and spent a good deal of time crisscrossing this part of the city. My daily commute cut across Nairobi University main grounds, past the fountain ‘of Knowledge’ on the same path that Senator Barack Obama walked on his way to address students about a hopeful future at Taifa Hall in 2006 when it seemed ludicrous that he would be elected as the first black President of the US. Behind the University of Nairobi main administration block is the iconic Kenya National Theatre, the home of Nairobi’s art scene situated on Harry Thuku Road. All greats of the day hanged out at the Wasanii balcony bar overlooking the parking lot. I met Maddo, the veteran cartoonist here and was surprised by how closely he resembled the caricature that graced his weekly page. Wahome Mutahi of the venerated Whispers Sunday Nation column hanged out here regularly. The National Theatre was a magnet for the best talent that has ever emerged from the city. Thespians, comedians, musicians and poets congregated on its grand steps. I watched Jalang’o perform comedy in that space before he broke into television and radio and Eric Wanaina’s riveting musical Lwanda, Man of Stone. The highbrow Norfolk hotel sits across the street from the National Theatre presenting a contrast between established urban affluence of from the colonial age and a centre for African culture and renaissance co existing side by side. The Norfolk is rich in history and as old as the city of Nairobi. It first opened its doors in 1904. Retired American president Theodore Roosevelt stayed at The Norfolk during the now infamous African sport hunting safari in 1909. A bomb went off there in 1980 on New Year’s Eve. I remember the blast shook our door violently like a sonic boom, eight kms away in the Upper Hill area. The hotel recovered and hangs on its mantle as one of Nairobi’s most prestigious hotels. It is now referred to as the Fairmont Norfolk. I met Usain Bolt in 2009 during a press conference at the same hotel where he gave that memorable response, “I am just working on being a legend”. A few metres south of the Norfolk, is the Kenya Broadcasting Corporation (KBC) headquarters. In August 1982, it was commandeered by rebel Airforce officers during the attempted coup. The man who was forced to announce the change of guard, at gun point, was veteran Leonard Mambo Mbotela. Perhaps the most recognisable voice on Kenyan public radio. I bumped into Leonard Mambo Mbotela (no one calls him Leonard) on the street facing the main gate in 2007. His voice had the same booming quality but it was his laughter that was highly contagious. For the few minutes that I introduced myself, we laughed with familiarity of childhood friends. At the start of Harry Thuku Road, joining the University way lies the Central Police Station. This was where all political activists rounded up during city demonstrations in agitation for multi democracy were booked in the 90s. Interestingly Harry Thuku, who the road is named after, was an anti-colonial figurehead of Kenya’s first political movement against the British in 1921. From the front yard at the Central Police Station, you stare directly at a tall pearly white building, known as the Lilian Towers. It houses the Nairobi Safari Club Hotel and one of the 1st indigenous owned and better designed five star hotels in the city. Lilian Towers was an architectural marvel when it was built in 1983 and designed to resemble a gigantic maize cob. To the left after Lilian Towers is the Muindi Mbingu Street named after the Akamba colonial resistance leader and a walk down it brings one to Jeevanjee Gardens founded by Alibhai Mullah Jeevanjee, an Indian entrepreneur who bequeathed the green space to the residents of Nairobi in 1906. 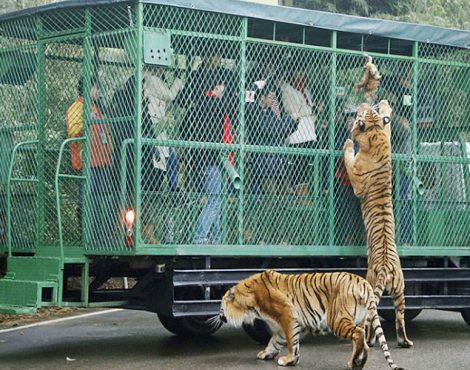 The recreational park is held in trust for the residents of Nairobi and several attempts to privatize it have been met with stiff resistance from the family over the decades. 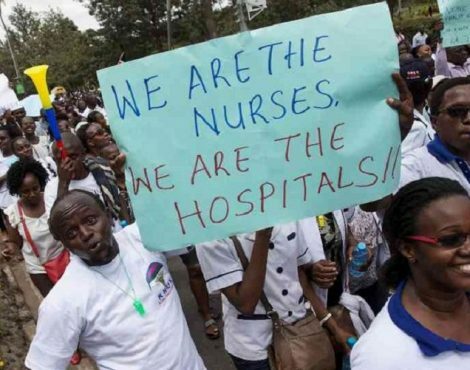 It would become the de facto home of Bunge La Wananchi, the original people’s assembly, a free public forum where ordinary Nairobians gathered to speak to power about the issues affecting the city and country. From Jeevanjee Garden one can catch a glimpse of the iconic Khoja Mosque, that sits on the corner of Moi Avenue and River Road, another historical building standing defiantly amongst glitzy skyscrapers as a testament to the visionaries of 1920s. The infamous Koinange Street, runs parallel to Muindu Mbingu. The street was named after the misunderstood Mau Mau leader, Senior Chief Koinange, grandfather of the celebrated TV host, Jeff Koinange. Koinange Street is a pretty standard affair during the day, lined with clothing stores, offices, banking halls and restaurants. At night it attracts a different horde of revelers beating a long line to the enticing Florida Night Club better known as, The Mad House. A discotheque that balanced on a single pillar and forming the roof of the Total Petrol Station. It was shaped and glittered like a UFO when the sun came down and its doors welcomed party animals of every nationality. The Mad House was a space for friendly strangers, who loved to do the disco! 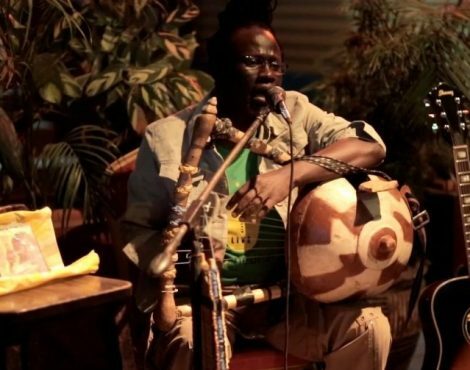 It was also a much-loved attraction that defined Nairobi’s nightlife for decades. The Florida Night Club was brought down in 2014 and the city’s night scene lost one of its brightest stars. One street away from Koinange is Loita Street. The Libyan embassy was situated on this street and it had a reputation that preceded it. Only political dissidents applied for Libyan visas. Word on the street was that it was under heavy surveillance. I had always felt a bit apprehensive passing outside Jamahiriya House because a few metres up the street was Nyati House. This is where the National Intelligence Service had their headquarters. In the draconian Moi days, the brutal Special Branch operated out of Nyati House (the word for Buffalo in Kiswahili) and it was a place no one visited voluntarily. Nyati House was rumoured to be torture chamber central in the late 80s through to 90s. 150 metres down Loita street, across Kenyatta avenue was Nyayo house, similarly bland in style and also home to underground torture chambers during the Moi rule. Raila Odinga spent a few years in those cells fighting tyranny. Nairobians would walk consciously past the featureless concrete building, as if trying not to draw any attention to themselves. Two important institutions are located behind the dreaded Nyati House. The French Cultural centre, better known as Alliance Francaise, built a reputation as the launching pad of several home grown talents. The celebrated Sauti Sol quartet started out there. I listened to benga superstar Suzanne Owiyo sing ‘Kisumu 100’ on the French stage. Conscientious rapper Juliani cut his teeth on that stage as did Afro-reggae group Sarabi. Visible from Alliance Franciase entrance, is the Goethe Institute, the German equivalent which also functioned as a platform for several new musical, artistic and literary acts. I recall seeing the original House band, ‘Just A Band’ perform at the Goethe hall for the first time. Many nights after performances at Alliance Francaise or Goethe, I would walk to the corner of Koinange and Monrovia streets where the Sno Cream ice cream parlour was situated. I doubt there was any serious campus romantics who passed up on a late night vanilla treat. Sno Cream was a place that had nostalgia painted all over its yellow walls and it still serves some of the best ice cream in Nairobi to date. Off Uhuru Highway, past the roundabout at the intersection of University Way, Nyerere Road and State House Avenue is an interesting assembly of churches. The Lutheran Church; The First Church of Christ, Scientist; St Andrews Presbyterian Church and the Catholic Saint Paul’s’ Chapel sit side by side in perfect harmony. Opposite St Paul’s Chapel is the little known United Kenya Club (UKC) started in 1946 as a meeting ground for Kenya’s budding middle class. It evolved into an intellectual hub for university professors and high academic achievers. Barrack Obama Snr frequented the UKC bar. Charles Njonjo was once a chairman and opposition political stalwart, Raila Odinga is a member. In my two decades as a satirical columnist for Kenya’s mainstream papers, I did not realize I was making life long memories in Nairobi. I was just having fun in a city that has grown on me, like an old lover who matures with grace as they age. Nairobi is a city of constant hustle. It sells a big dream and the hustle is the hidden cost. 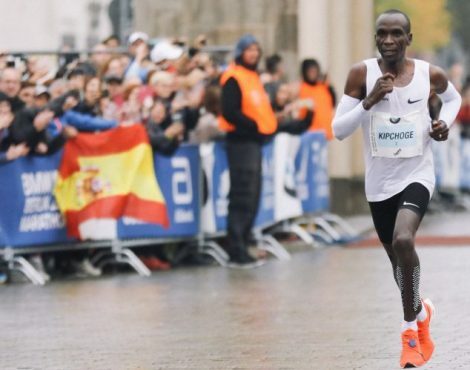 If you are desperate for success, Nairobi is not the place to front your ambitions. It has a rule book full of contradictions. 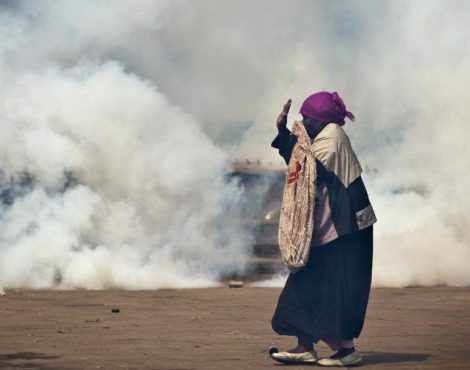 One has to learn to accept Nairobi despite its contradictions, to be able to relive it with a fresh set of eyes. 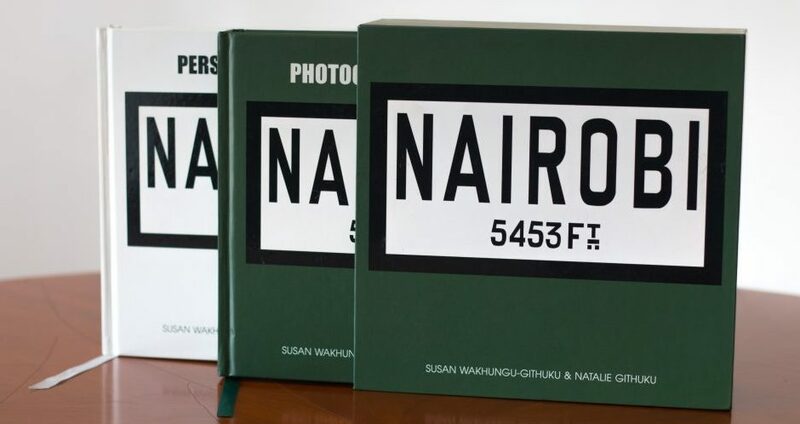 This contribution was part of NAIROBI, a double volume of Photographic Slices and Personal Musings, compiled by mother and daughter Susan Wakhungu-Githuku and Natalie Githuku that beautifully pays homage to this fascinating “city that calls your name”.